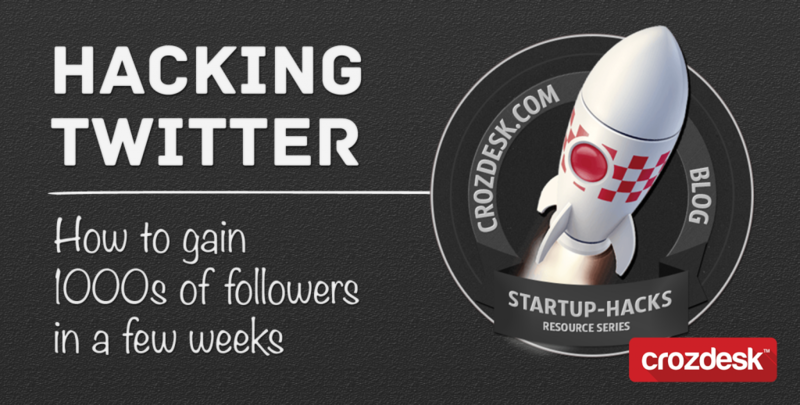 This post is intended as an informative article designed to showcase a clever solution to one of today’s growth hacking challenges: growing a Twitter audience quickly and effortlessly. While we don’t condone this approach, it is known to work quite well. As always we recommend that you use such methods responsibly and avoid spamming or similar activities! There can be no doubt that Twitter is a potential goldmine of free PR for businesses, yet gaining followers can be a slow process. It is possible to expand your Twitter following simply by finding and following other users who share a mutual interest, field of expertise or industry sector. Providing you have common ground, chances are those you follow will follow you back and your twitter following will grow. Naturally, this manual method of following people is time-intensive and it makes sense to try and automate the process. There are many ways of automating the process of following people on Twitter – we’ve come up with two, which are quick to set up and easy to use. 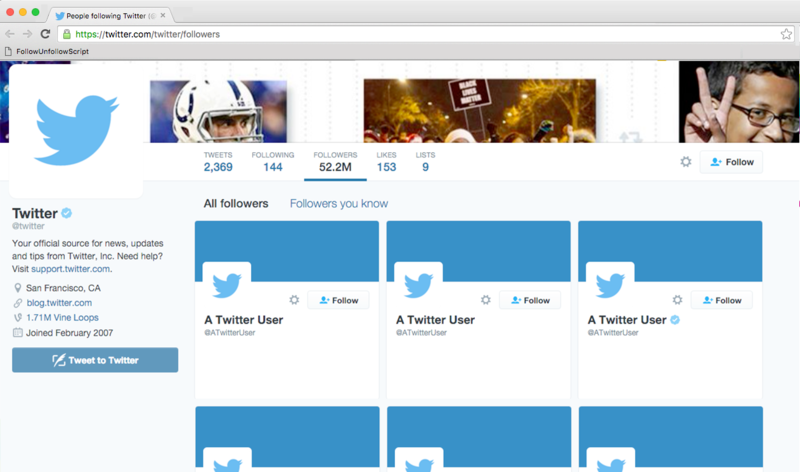 These methods allow you to quickly follow other Twitter users by automating the process of clicking the “Follow” button next to each user. To use the script, simply open a list of Twitter users that you wish to follow, click the FollowUnfollowScript and watch as the script automatically adds followers to your account. 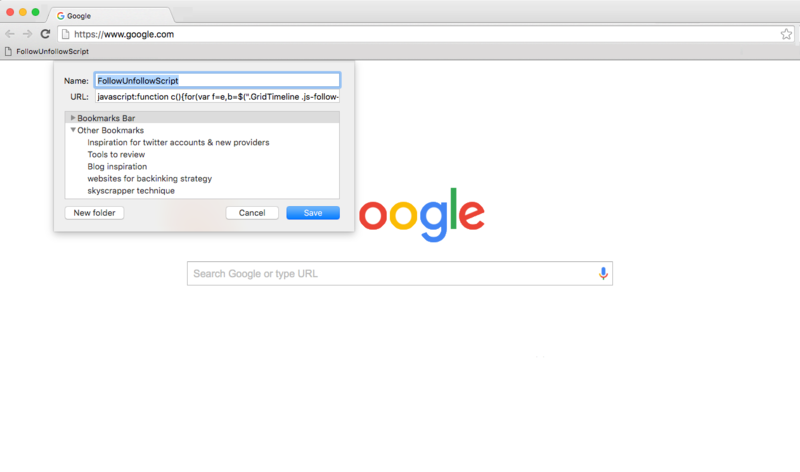 It is also possible to unfollow users with this script, simply open the list of users that you are currently following and click the bookmark; this time, the bookmark will simulate the clicking of each unfollow button. If you’re not familiar with Crowdfire, it’s a tool designed for growing your follower base on Twitter; for more on how to use it, check out our review of Crowdfire. 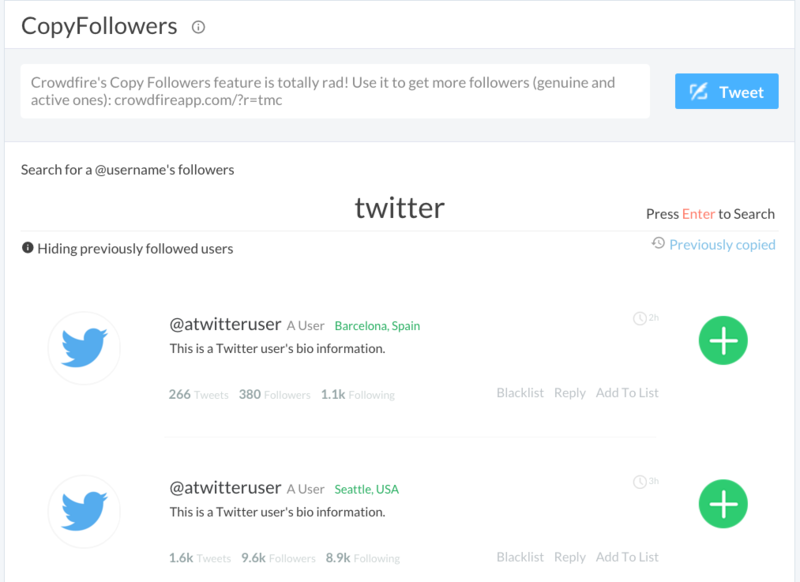 Crowdfire segments the Twitter users associated with a connected Twitter account into lists, allowing you to add or remove the users from these lists. Crowdfire can be used manually, by individually clicking the follow or unfollow button next to each follower in a list, however, once again, this is a time consuming way of growing your followers. Crowdfire recently changed their interface. The above script only works for older accounts and interfaces. 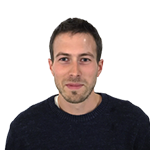 If you have signed up recently use the script below instead. 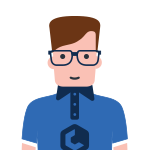 To begin adding people, open Crowdfire’s Copy Followers tab and enter the handle of one of your competitors or someone with a similar target audience to yours. 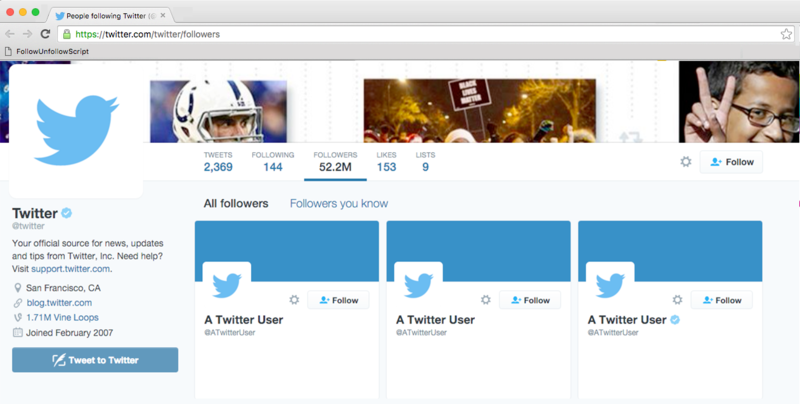 Once Crowdfire has loaded the list of followers associated with that handle, click the CrowdfireFollowUnfollowScript and the bookmark will begin to automatically follow these users. A red error message will appear when you have reached your follower limit. 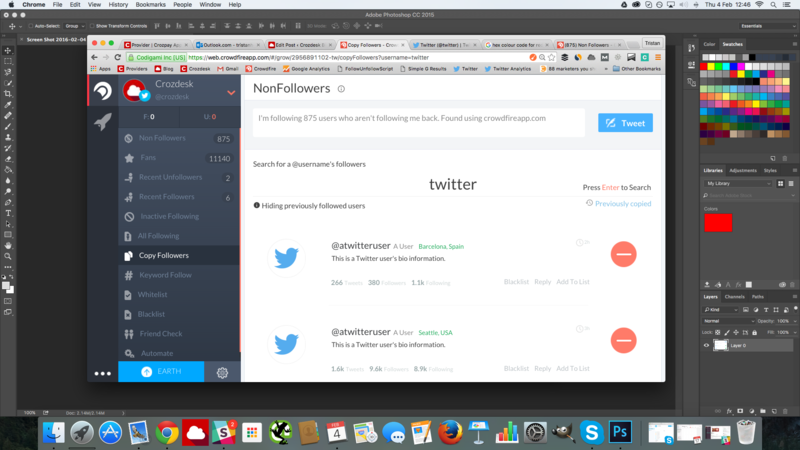 While Crowdfire does offer a free package, it limits the amount of users you can follow and unfollow to 100. To get around this, you can sign up to the $9.99 plan, as a minimum, which allows you to follow and unfollow a maximum of 1000 users per 24 hour period (as per the Twitter limit). If this message appears and you haven’t yet followed 1000 people, then this will be happening because the script has added too many people too quickly; you can get round this by refreshing the page and re-activating the script. 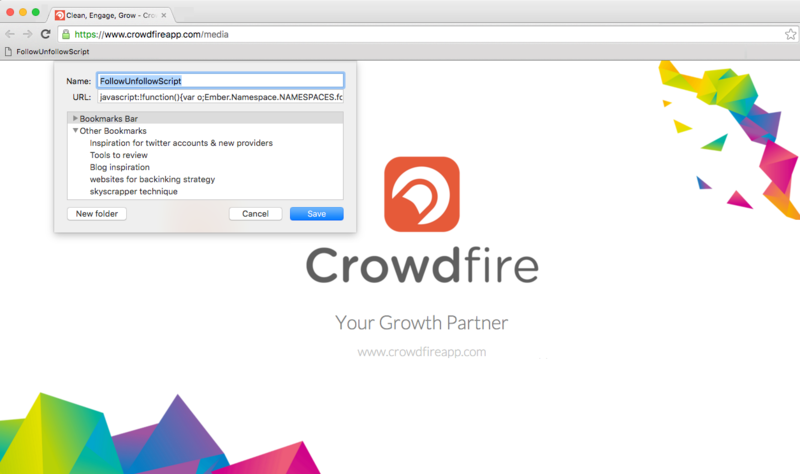 Crowdfire is built upon the principle that the more Twitter Fans your account has, the better. Fans are defined as those users who are following you, but you aren’t following back, while Non-Followers are users you are following but who aren’t following you back. 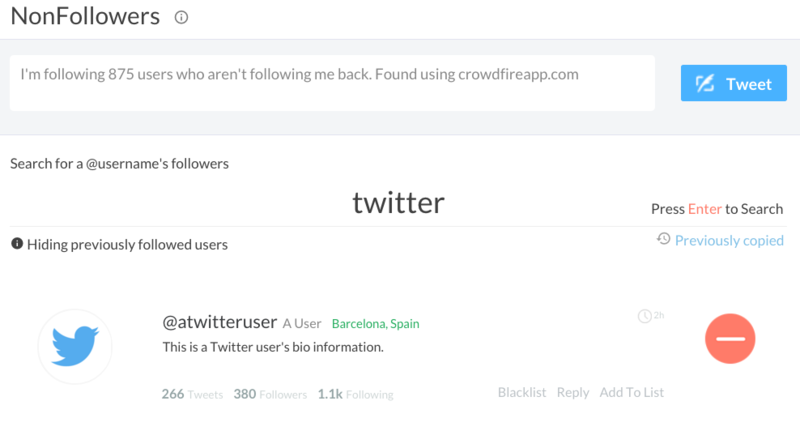 Crowdfire displays your non-followers in a list, something which Twitter does not do. 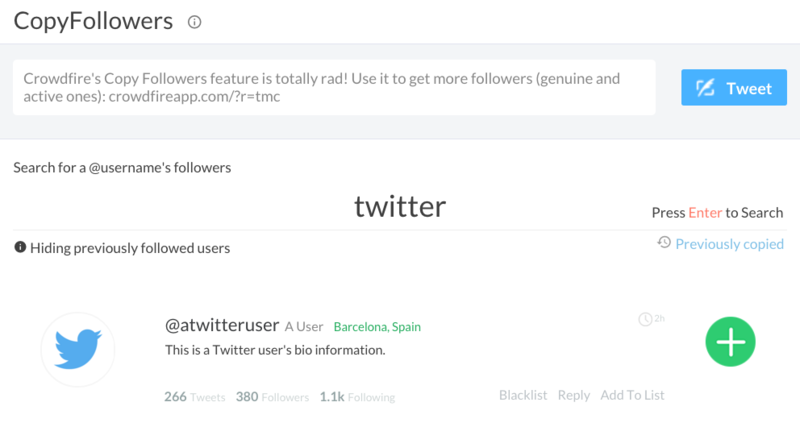 Simply activate the script to unfollow up to 1000 users. 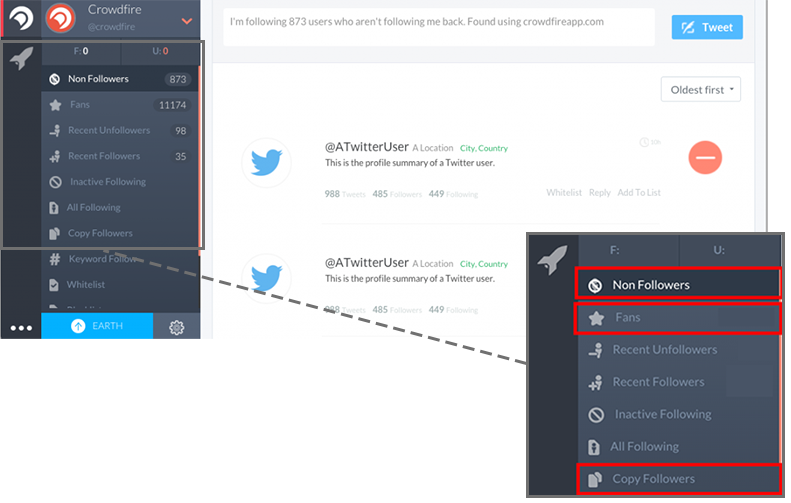 Usefully, Crowdfire includes a DM automation function, allowing users to automatically Direct Message anyone who follows their account. This can be highly useful for businesses wishing to promote a product or website to new followers. The 2-approaches described above can help you grow your audience quickly and drum up interest for your business through automated DMs (Crowdfire). Both methods take less than 5 min a day and can be tailored to the exact audience you wish to attract. By copying followers of your competitors or accounts who attract users with similar interest to your own desired audience, this doesn’t just inflate your stats, but helps you reach a lot of potential customers in short periods of time. Twitter isn’t a fan of automation, but since the scripts simply simulate clicks in the browser it isn’t easily detectible. So be careful, as we can’t be held responsible if you take this too far and the twit hits the fan! 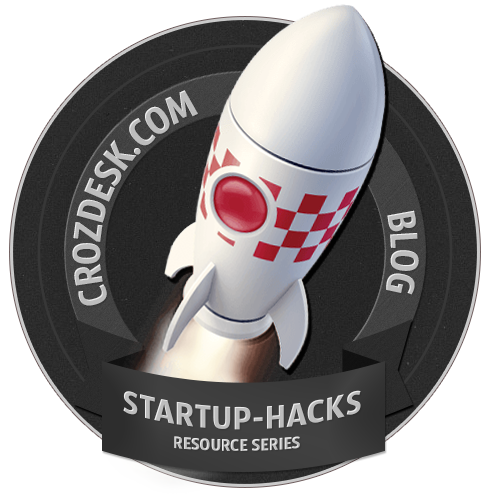 Startup Hacks Series – Aimed at businesses of all sizes, digital marketers and anyone else looking to increase the profile of their organisation online, our startup hacks series aims to provide a resource of tools, tips and hacks designed to make the task of online marketing a little easier. I can’t seem to get the scripts to work – are they still valid? There was a visual bug, so not everything was displayed. If you copy the full script it should work. I’m a little afraid to try the Method 1. I mean, if I go to a person’s twitter account and they have 30,000 followers and I activate this script, I would only want to get maybe 50 to 100 followers in a day. Does the script just keep adding followers until the end? Or is there a way to stop the script after 50 or so follows? It’ll stop automatically if you reach your daily limit and you can refresh the page at any time to stop it manually.